As a public service to the spouses of sportsmen everywhere, I am offering up a gift idea just in time for Valentine's Day: Knives. Gifts for Men: Nothing or a .99¢ greeting card. An attempt is made here to reflect the perceived lifetime emotional contributions to the partnership in a monetary way. Gifts for Women: A weighty combination of scarce ores and pressure-formed minerals from deep within the Earth, which are then extracted and sold at retail for roughly the GNP of Honduras. Together we can make this they year when guys of the male gender receive a modicum of equity for Valentine's Day. The great thing about my suggestion is that your average male aspires to own his body weight in knives. In other words there is no need to be concerned about gift duplication. 15 or 20 fine pieces of outdoor cutlery are collectively known as "a good start" in terms of the lifetime need. Also, Valentine's gifts should generate enthusiasm on the part of the recipient. There is significant historical precedent to suggest that Gangnam Style is a less energetic version of a guy's universal reaction to receiving a bladed gift - hence the strong value proposition of edged weapons for key emotional moments. My own personal collection (still in its infancy) contains a favorite folding knife: The Zero Tolerance ZT0301ST. The blade is S30V stainless steel, tiger striped using a Tungsten DLC coating which is very durable. I really like the assisted opening mechanism (a Ken Onion/Strider design) on the 301 as well. 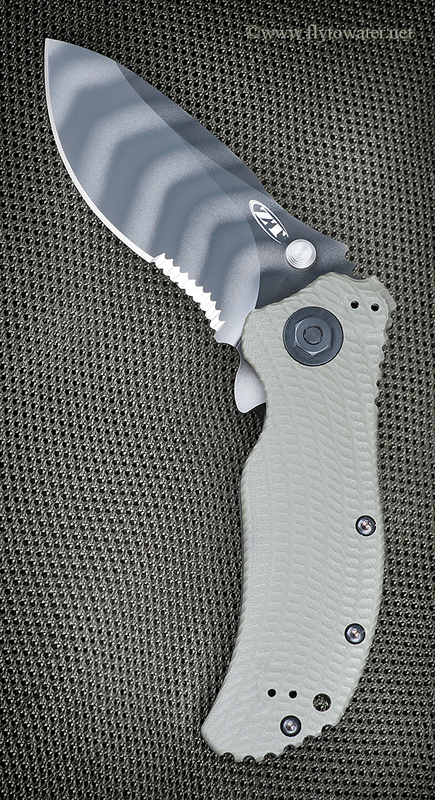 Handle material is 3-D machined G-10 and titanium, which is extremely strong and provides a solid grip wet or dry. Happy Valentine's Week! Guys: ALERT! 3 DAYS LEFT TO GET HER SOMETHING. Not sure why no comments. This was an excellent article. Thank you Nathan. It's a topic which has obviously fallen by the wayside. I anticipate that, yet again, men everywhere will experience a disheartening inequity on Valentine's Day of 2016.